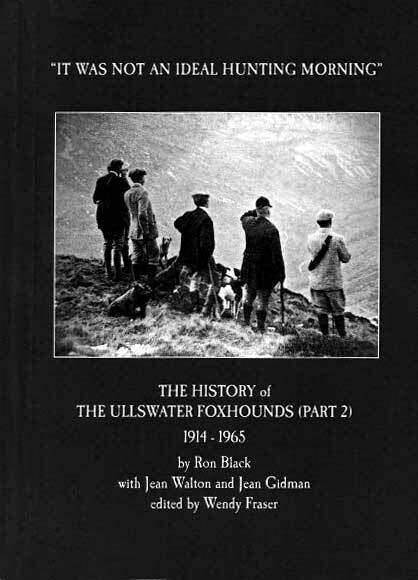 In 2008, Wendy Fraser and I tentatively launched the Lakeland Hunting Memories website with the aim of making the history of Lakeland Hunting available to all. To our amazement the site became immensely popular and, at time of writing, has achieved over 190000 hits. From these beginnings came the books and magazine articles. However I grew increasingly frustrated with the attitude of a number of publishers and booksellers; to this end we are launching this web site. True to our belief, we will sell our books at realistic prices thus continuing our core aim of making the subject accessible to all. 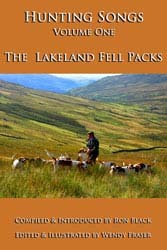 Whilst I publish my printed books, Wendy publishes them as ebooks that are available from most ebook retailers. These books are no longer in print but the ebooks are available from : Amazon : Smashwords : and all major ebook retailers. 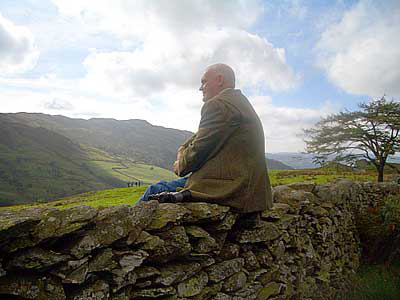 Ron sadly passed away in early September 2017 after a short illness, leaving his books as an important legacy to the traditions and rural history of the English Lake District. 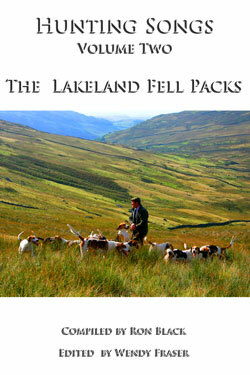 We met in early 2008 and toyed with the idea of producing a website, which was to become Lakeland Hunting Memories. Although we lived 300 plus miles apart, I managed the technical side of it and Ron provided the content.From small and unstructured beginnings we were pleased and surprised to see a swift interest in the site, far exceeding our initial expectations. Ron was sending me more and more content. It took some juggling to sort out the sections and I was constantly rearranging the presentation. 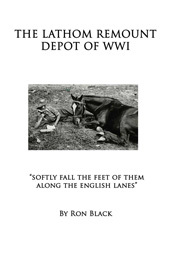 As the content increased Ron suggested that some of it might be suitable to be printed between two covers. 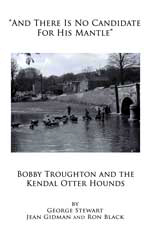 It was agreed that I would prepare the text for printing, and so the first book, A History of the Lunesdale & Oxenholme Stag Hounds, was published in 2011. It’s not the best laid out of books, I’m afraid. Ron would email me bits and pieces, in different fonts, colours and layout, all of which contained large tracts of quotes from newspapers, journals, etc., along with plenty of grammatical, spelling and punctuation errors – but were these errors on the original documents or were they merely typos? It was not easy to decipher which paragraphs were written by Ron and which paragraphs were quotes and where corrections needed to be made. In the early stages I was unsure how to format all this and when I made suggestions to Ron he was understandably, as a new author, sensitive about his work, so I interfered with it as little as possible. 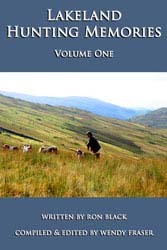 The second book was The Mardale Hunt - A History (2011) and as the first book had sold out very quickly and Ron became more confident, I was able to become a little more assertive with the layout of the books. Looking back I now bitterly regret all those italicised paragraphs in those first two printed books! They’re not easy on the eye when reading, but I was struggling to establish a format for differentiating between Ron’s words and the quoted words. From those small, tentative steps towards getting into print and in order to sell the books ourselves without a middle man, we set up another website with ecommerce facilities – Gone2Ground Books. Ron was in charge of pricing and dispatching the orders. 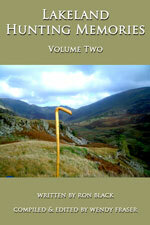 I took it all a step further and turned the manuscripts into ebooks, publishing them on Smashwords and Amazon. This was a new adventure for me and there was so much to learn - inevitably I’ve made plenty of mistakes! Since Ron’s untimely death the Gone2Ground Books website has done just that – gone to ground - as there are no printed books left, and I’m keeping myself occupied updating and improving the ebooks to reflect all these changes and to correct all the mistakes. I hope the valuable primary source material of social history contained in these books and on this website (all 200+ pages of it) is appreciated and put to good use in years to come. 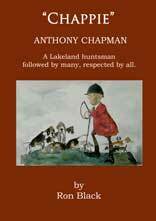 Finally, I must express my sincere thanks to mtstudios in Deal, Kent, who have hosted the Lakeland Hunting Memories website since its inception and will continue to do so for perpetuity in memory of Ron.